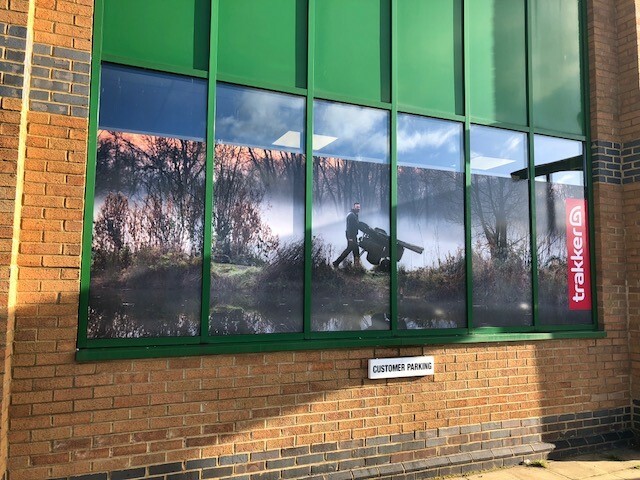 With a number of carp fishing exhibitions throughout the year for Ridge Monkey, Charles Rayner Ltd were delighted to supply the foam pvc graphics and pvc banners for the stand– using a black background and a superb Ridge Monkey logo finished in matt , the stand really does have a huge impact at the shows. All of us at Charles Rayner Ltd were delighted and indeed proud to have been asked to collaborate with Chiltern Railways again this year, in the printing and the fitting of the graphics to the Christmas train naming competition, run in conjunction with the Birmingham Children’s Hospital. George, one of the hospital’s young patients was the winner of the competition and he named his entry drawing “The Choo Choo Express”. Charles Rayner Ltd had great pleasure in supplying and fitting the graphics for the Chiltern Railways Poppy appeal train! Gatwick Airport South Terminal bus shelter’s have been given a graphic makeover by Charles Rayner Ltd! Charles Rayner Ltd successfully completes a 3-year rebranding project! Fantastic design and print quality to tight deadlines.